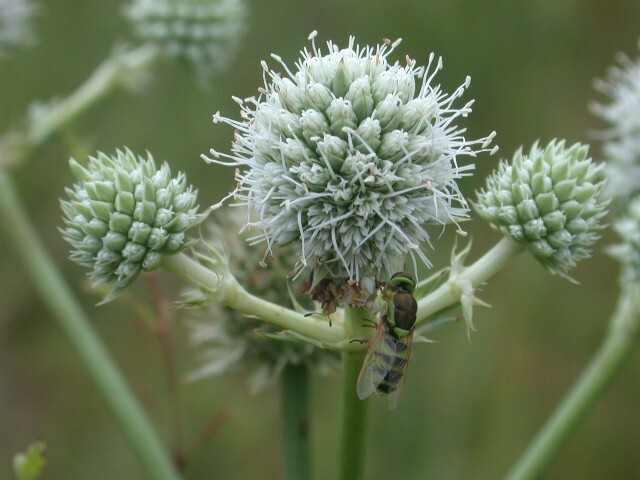 Scientist builds garden for bugs | Meadows. Seed. Art. From a horticultural standpoint, Dr. Charles Allen’s gardens are whimsical and colorful and full of good and useful plants. He tends every piece of ground he works with care and it shows. You’ll not go to many places with as many different types of plants, and gardens as well maintained as his are. Scientifically, the gardens are incredibly rich in flora and fauna. Dr Allen has been gardening with butterfly attracting plants for 30 years and curates a collection of plants that have been chosen for their attractiveness to Butterflies. Step away from the computer now. Make plans to visit soon. You’ll not be disappointed. That is certain. 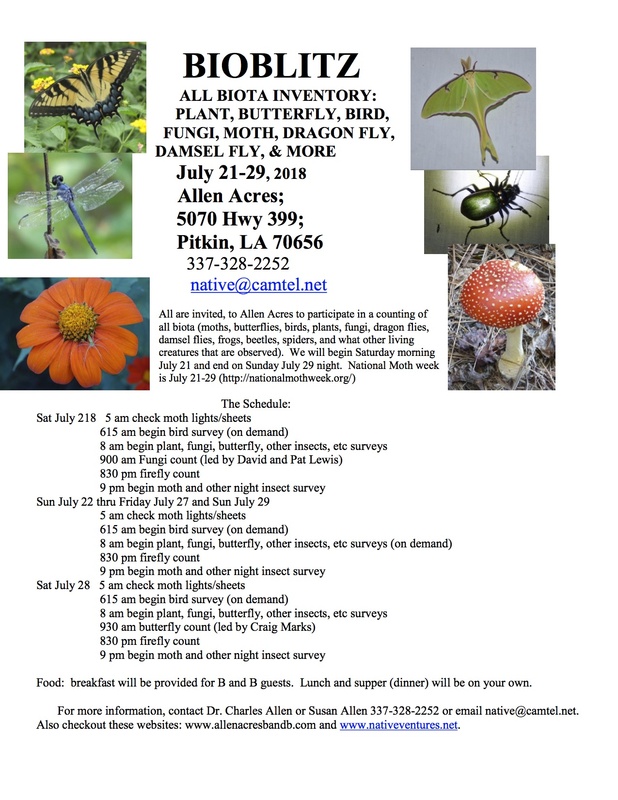 Dr. Charles Allen has asked me to invite any interested persons to Allen Acres for his annual bioblitz on July 28, starting at 9:30. As part of that event, I will be conducting a butterfly count, and I need all the help I can get. Allen Acres is located in Vernon Parish near the town of Pitkin. Dr. Allen’s lovely wife always prepares a wonderful lunch so you not only get to count butterflies but you get to eat well. And, if anyone gets too hot, you can always step inside his home and cool off. Cold drinks and bathroom facilities are available. Easiest count you will ever do. At the bottom of this e-mail I have included a list of what was seen last July under mostly cloudy skies. After counting at his facility, I plan to drive over to Dove Field and Fullerton Lake, both locations to be included as part of the Count results. From there, if time allows and the weather has not been too oppressively hot, I will finish at Cooter’s Bog. If you have never seen a Little Metalmark and want to, Cooter’s Bog is one of the most reliable locations for that butterfly in the State. Let me know who can come and join in the fun.